In March last year, in a post entitled Arrogance and Armalites: the cruel folly of the trophy hunters, I commented on the ‘greedy, vainglorious men’ who kill some of nature’s most spectacular creatures simply because they want trophies for their dining room walls. I wrote about the Emperor and the Monarch, both deer, both killed for their antlers and so someone, somewhere, can say ‘I did that’. The most recent example has been flying around the world on social media and in various news reports. As always, in this Internet age of digital Chinese whispers, the story changes depending which site you visit, which flash you see on a Facebook wall, which Twitter-linked story. What isn’t in doubt is that Dr Walter James Palmer, a Minnesota dentist, who is also an international big game hunter, shot and killed the most famous creature in Zimbabwe’s Hwange National Park: Cecil, a lion whose curiosity about people, and apparent enjoyment of their company, almost certainly played a part in his killing. According to BBC reports, the poachers tried to remove a GPS collar that was being used to track Cecil’s movements. He was found, headless and skinned. Wounded with a crossbow bolt. Chased for forty hours. Finished with a gun. A pathetic end to a magnificent animal that held iconic status for those who championed the cause of conservation in Zimbabwe. Within the cerebral cortex — the brain region responsible for information processing, problem-solving and perception, among other things — cats have 300 million neurons, compared with dogs’ 160 million neurons. In recent years, various studies have begun to show just how intelligent dogs are. For instance, canines can sort objects into categories (evidence of abstract thought) and work out what people are thinking, to a degree, an ability called theory of mind. However, there’s a significant lack of studies on feline cognition, which may have to do with the difficulty in working with cats. That suggests that if a theory of mind can be constructed for a dog, something similar should be possible with a cat. If only they would show an interest in being around us. In being close to people. Just as with the Emperor and the Monarch, Cecil’s fear and pain – such as it manifests in a lion (and I am well aware of the dangers of anthropomorphising) – must have been horrific. Did he drag himself through the dirt in his final hours? Did his lungs fill with blood? Did he feel his muscles weaken? Did he have a sense of safety ahead, of escape, ancient instincts propelling him forward? Palmer is everything that most Zimbabweans aren’t. He is white, privileged and rich. He can afford to travel the world killing beautiful creatures for whatever reason motivates him: the adrenaline rush, the bragging rights, the head on his wall. He can use his wealth to leverage the greed of local poachers to identify potential trophy kills. And Palmer is now facing a backlash. He has closed his practice. He has taken down his Facebook page. He apparently regrets the killing. One wonders, however, if he would have reached that conclusion if the worldwide public reaction hadn’t been so angry? Really? Establishing honour for all time requires killing? In an era when we are discovering the pentaquark, when we are landing cameras on comets, when we are talking about planned missions to Mars, why do some men (and it is usually men) still believe they need to prove something about themselves by killing creatures who have the potential to be far more magnificent – and significant – alive? What I assume is Palmer’s antiquated sense of what is heroic is not romantic. It is not justifiable as being the last vestiges of a world glorified by Hemingway, some heroic struggle of man against beast. Just as Hemingway is our past, so is the era in which men and women cooed and ahhed at animal parts nailed to a wall. The reaction of his local community is testimony to that. Some will accuse me of anthropomorphising, of indulging in a trite sentimentality, and say that I should ‘man up’ and not be so soft. However, it is not anthropomorphising to point out the scientific and economic impact such hunting has. Short term game from poaching and trophy hunting will translate into significant impacts on tourism if populations collapse and emblematic creatures are killed. In diminishing populations, trophy kills are yet another way of making it harder to understand the creatures we share this world with. Just as Pope and Young claim a kill immortalises an animal, so, too, can the scientific record. Palmer is an example of the cowardice of the privileged. Having taken his kill, he is not prepared to face his own people and justify it. He returns home and, instead of being welcomed as the conquering hero, he is vilified. He doesn’t respond by putting in public appearances, explaining his motivation. Instead he hides behind a PR company and takes down his Facebook page. Hunted through the digital wilderness he is spared the physicality of the distress he inflicted on Cecil. I suspect, though, that he – and his family – will be shocked and mentally distressed at the reaction around the world. Perversely, Palmer may have advanced the cause of those of use who oppose trophy hunting like no-one else in recent years. The Liberal Democrat MEP Catherine Bearder has tabled a question to the European Commission calling for a ban on the importation of trophies. She has a petition running calling to reinforce that. You can sign it here. There is clearly a very visceral public reaction to Palmer. I can’t condone the more hateful comments directed at Palmer. I have no desire to sink to his level. However, I do hope that the tide of emotion that the killing of Cecil the lion has created translates into more than a moment’s outburst. However welcome and enlightened the reaction has been, it needs to become something more substantive. I described trophy hunting previously as exemplifying ignorance and pointless cruelty. Palmer’s actions reinforce that sentiment. Trophy hunting needs to be outlawed. 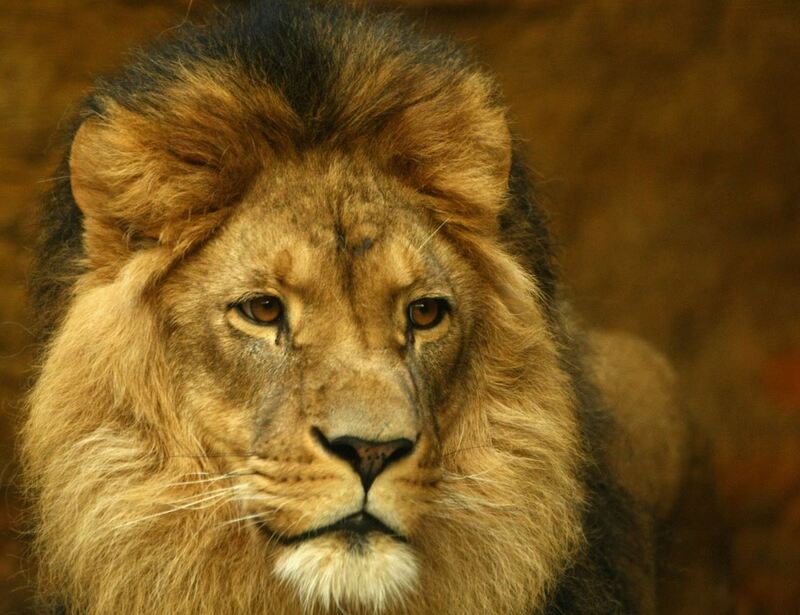 The world is poorer for the killing of Cecil. I’ve never been an absolutist on hunting. I understand the need for there to be management of herds and for vermin to be controlled. I worry, too, that so many children today have no understanding of where their food comes from. (In one recent study by the British Nutrition Foundation, 18% of primary school children thought fish fingers came from chickens.) However, I have never been able to reconcile myself to the pointless destructiveness of trophy hunting. It’s more than a vague feeling or an intellectual opinion. It is a very physical and emotional response to the idea that man (and it is usually men, not women) has to prove himself by killing other creatures, for no other reason than the sheer hell of it. I first encountered that response as a child, reading Willard Price’s Safari Adventure, and it has remained with me ever since. To my mind, such testosterone-addled, adrenalised thrill-killing demeans us as human beings. Fast forward to 15 March 2014 and in today’s Daily Mirror are two stories which reveal that our appetite for momentary glory at the expense of the animal kingdom is as great as ever it was. 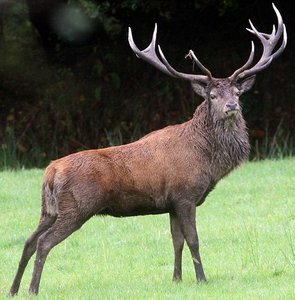 First of all, poachers hunting for antlers have killed a New Forest deer known as the Monarch. 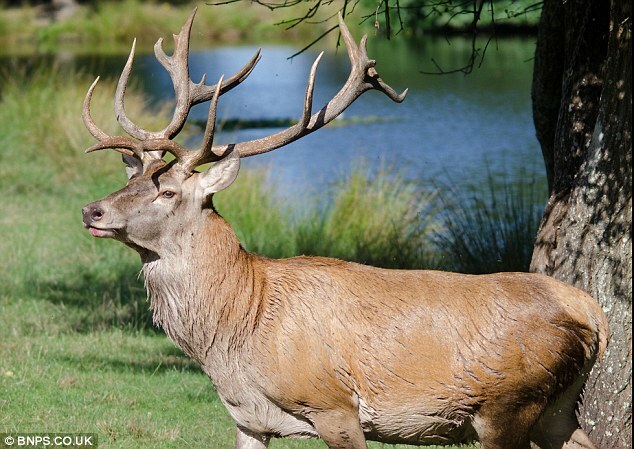 According to the report, the poachers used a calibre of rifle too low to kill cleanly and instead the deer, badly wounded, drowned as it tried to swim to safety. Spend a moment imagining the sequence of events. Spend a moment imagining the fear that magnificent creature experienced as the bullet crashed into its flesh. The pain as it tried to get away from violent intruders into its safe space, its fight-or-flight response leading it to crash towards a familiar stretch of water that had been a place of rest and refreshment for sixteen years. Think about its desolate coughing bleat as it limped towards death. And then those last, terrified gasps as it drowned, its exhausted body weakened further by blood loss. All because greedy, vainglorious men wanted to hang its antlers on a dining room wall. And then, across the Atlantic, the story repeats itself. A different country, yes, a different animal, yes, but once again actions that lead from that same ignorant bravado of inadequate men. Unlike the two deer, the protagonist has been only too happy to be associated with his ‘triumph’. 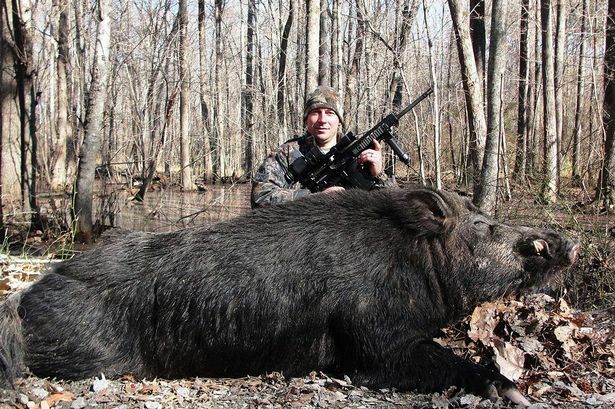 A cretinous redneck who’d not be out of place in a North Carolina remake of Deliverance, Jett Webb is shown posing proudly with his ArmaLite AR-10, resting on his kill – a giant 36-stone wild boar nicknamed ‘Hogzilla’ that had become the stuff of local legend. He shot it in the Indian Woods area of Bertie County, having hid out in the woods at night, but there was no Hemmingway-esque poetic reflection on this particular kill. What ignorance. What pointless cruelty. In the deaths of the Emperor, the Monarch and Hogzilla we have gained nothing and lost much. Gone are the chances for stories that make a place, that lend wonder to those exploring for the first time, the “what if…?” and the “perhaps we might…!”. Gone are the chances for a glimpse of nature’s magnificence made manifest in three animals whose unassuming majesty had the potential to induce wonder in inquisitive young minds. And, as usual, greed will be excused as endeavour by those that celebrate and justify this pointless pursuit. Samuel Johnson couldn’t have been more right.